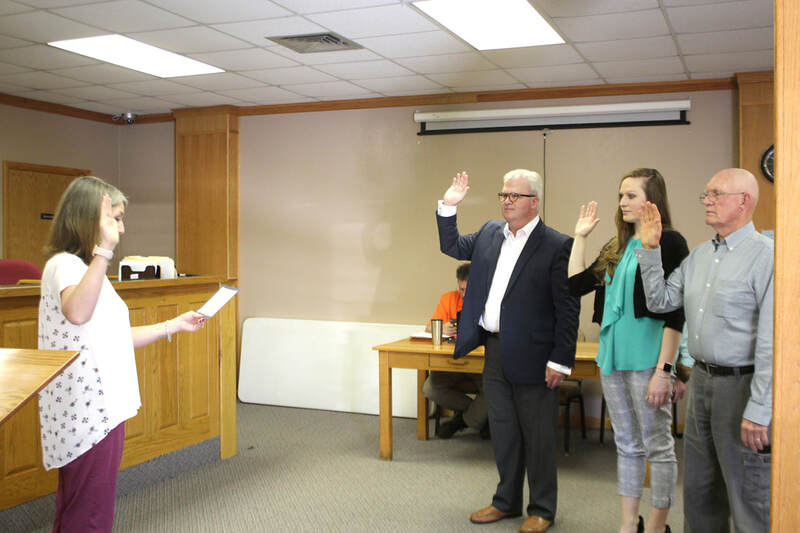 One new and two reelected members of the Cassville City Council were sworn into their offices on Monday, April 8, at the regular meeting. Mayor Bill Shiveley and alderperson Jon Horner were sworn in after reelection. New incoming council member Taylor Weaver replaces Cindy Carr, who elected not to run for her seat again. Pictured, from left to right, Jennifer Evans, city clerk, swears in Jon Horner, Taylor Weaver and Bill Shiveley.